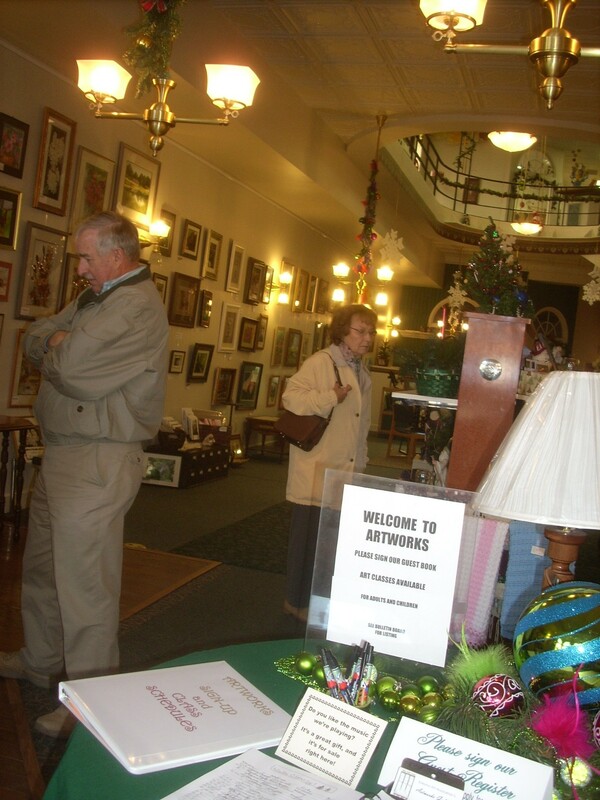 Kokomo Artworks, a co-op of artists within the Kokomo Art Association, recently moved to a beautiful new gallery in Downtown Kokomo. While the entrance from the outside looks like a typical downtown shop, what you see inside is anything but ordinary! 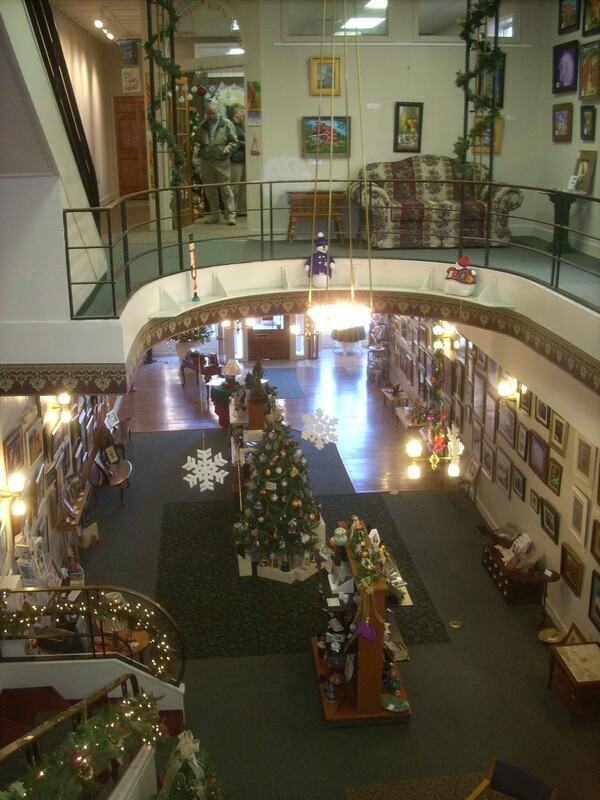 A variety of artwork, ranging from watercolor, photography, to ceramics are all wonderfully displayed throughout the two story gallery, perfect for browsing with a morning cup of coffee or for holiday shopping. Art classes are also given for those that want to try their own hand at painting or other forms of art. 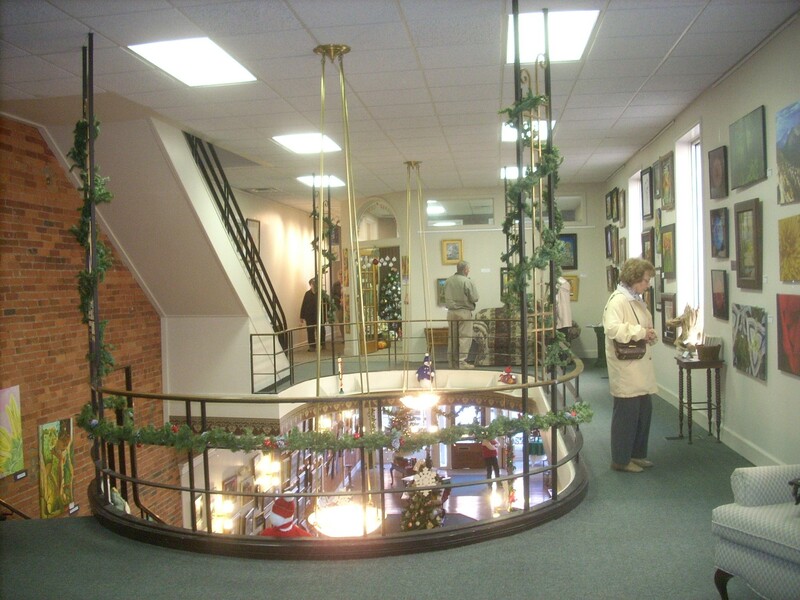 In addition to individual artwork displays, Little Town Glass Company has a glass studio on the second floor featuring stained glass art, glass jewelry, and steampunk gears (a very fun moveable art) and more. This family business (father & sons) hand-selects glass locally made at the Kokomo Opalescent Glass Company to make their unique and exquisite glass creations. Also, both Kokomo Artworks and Little Town Glass are part of the Indiana Glass Trail, which features several stops in the Kokomo area as it winds through the state. 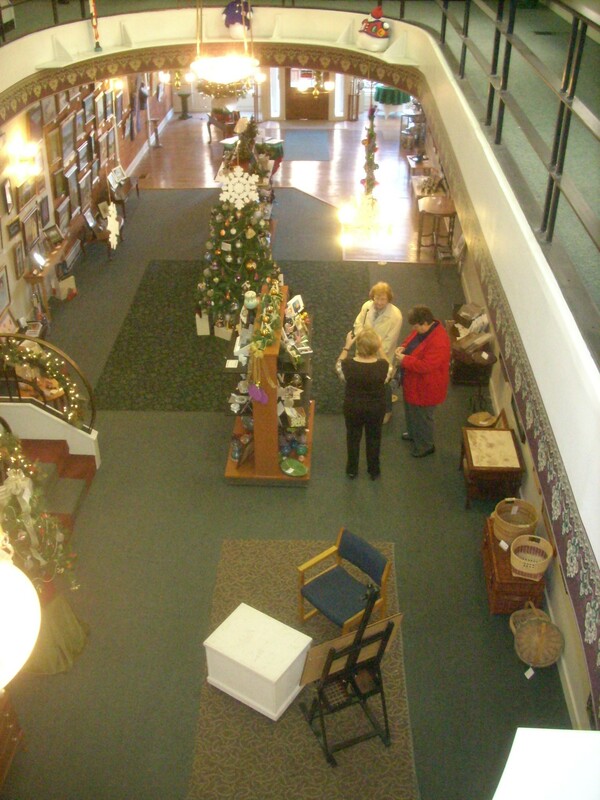 For more information on the Indiana Glass Trail, visit www.IndianaGlassTrail.com or call the Greater Kokomo Visitors Bureau at 800-837-0971. 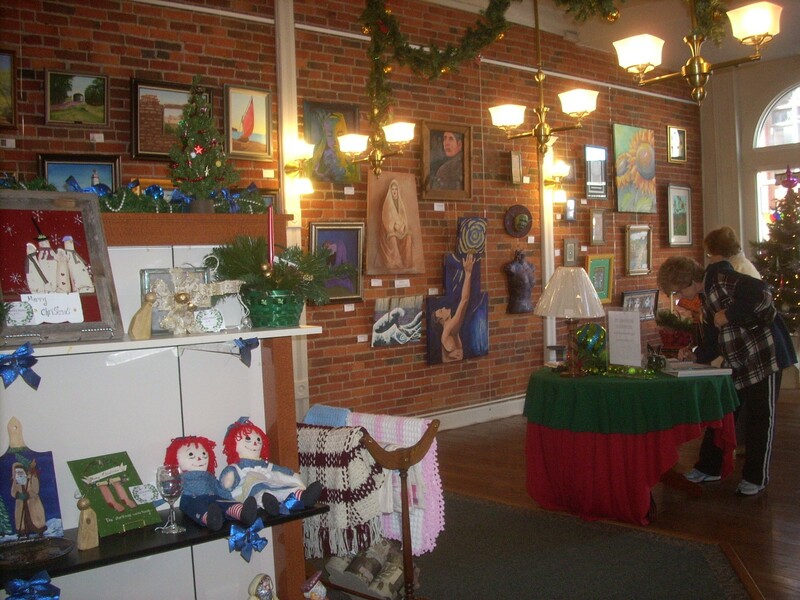 Artworks is located at 210 North Main Street in beautiful Downtown Kokomo. Hours are Monday – Friday 10 a.m. – 6 p.m. & Saturday 9 a.m. – 4 p.m. For more information, call 765-459-4579 or visit their website. Because often a picture can say more than words, here are some photos taken this week at Artworks. Make time this holiday season to visit this new downtown jewel! Don Wooldridge was presented the 2011 FIRSTS Award at the 97th Annual Chamber Dinner last night. The Kokomo Visitors Bureau FIRSTS Award — which stands for Fantastic Individual Recognized for Superior Tourism Service — was created to acknowledge people in our community who stepped forward to make someone’s visit to Howard County far exceed their expectations. It hasn’t been awarded every year, only when someone stepped forward to show Superior Tourism Service. This award has been shared by sports people, hotel managers, museum staff, or the person on the street who stepped forward to give advice or directions to someone visiting our town. Don has been involved with promoting Howard County tourism through his passion of automobiles and community involvement. He is a member of the Pioneer Auto Club and has been a friend to Howard County tourism for many years. 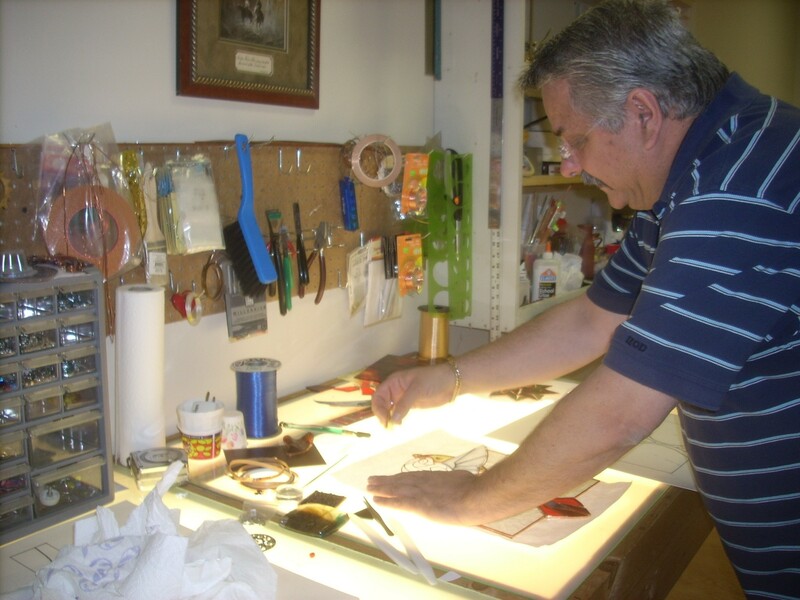 He displays exceptional tourism service in his role as expert tour guide for the Kokomo Automotive Museum, giving tours to groups of all sizes while combining his love of cars and our community’s history. In addition to his service at the Auto Museum, he has been a volunteer step-on guide for the Greater Kokomo Visitors Bureau since 2007. In this capacity, he has guided and shared his vast knowledge of Kokomo and Howard County with several tour groups from across Indiana. Most recently, he was heavily involved with helping set up a tour stop along U.S. 31 at the Kokomo Automotive Museum’s parking lot during the 2011 National Hot Rod Power Tour that drove through Kokomo this past June. While Kokomo was not an “official” stop on this cross-country tour, hundreds of cars stopped in Kokomo and many visited the museum while driving on U.S. 31 from Indianapolis to Michigan. It was one of the best days for the Auto Museum’s gift shop sales since the museum opened, and Kokomo was recognized by Hot Rod for our city’s hospitality. 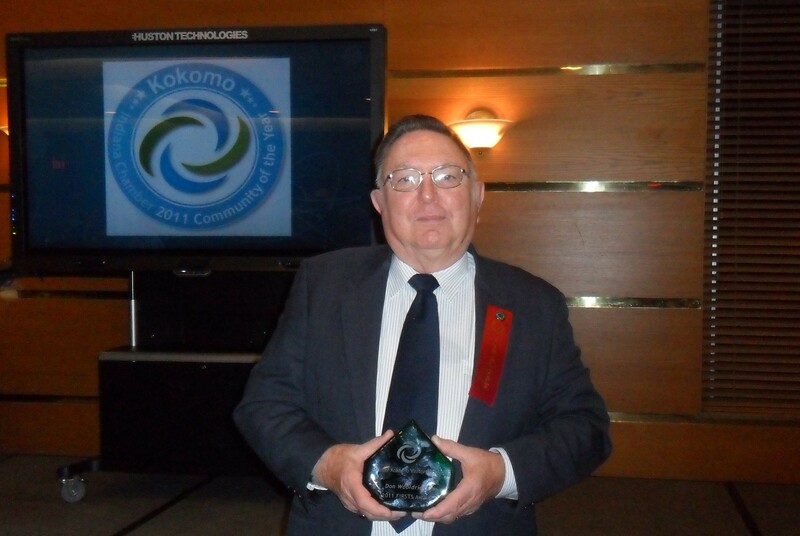 Don is one of many who promote hospitality and outstanding service in Kokomo and Howard County. Congratulations Don! Thank you for your volunteer work in our community and for making visitors feel welcome when visiting our city! 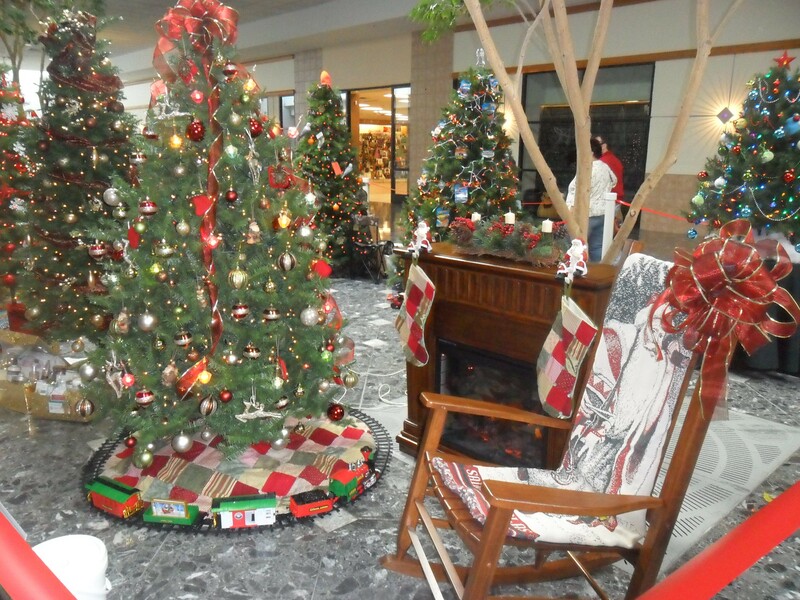 The We Care Trim-A-Tree Festival is going on now at the Kokomo Mall (located at the corner of U.S. 31 and Boulevard Street.) 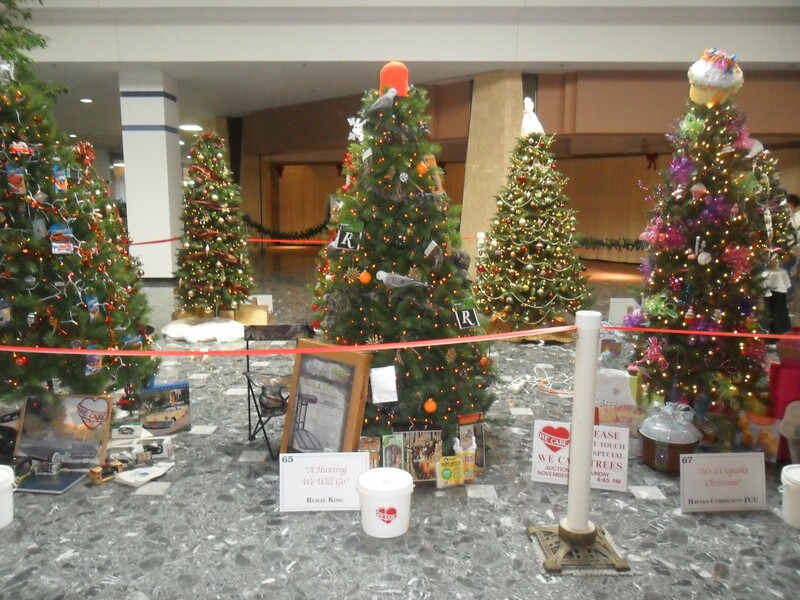 Don’t miss the chance to see the beautiful trees on display and vote for your favorite (by putting change in the buckets!) 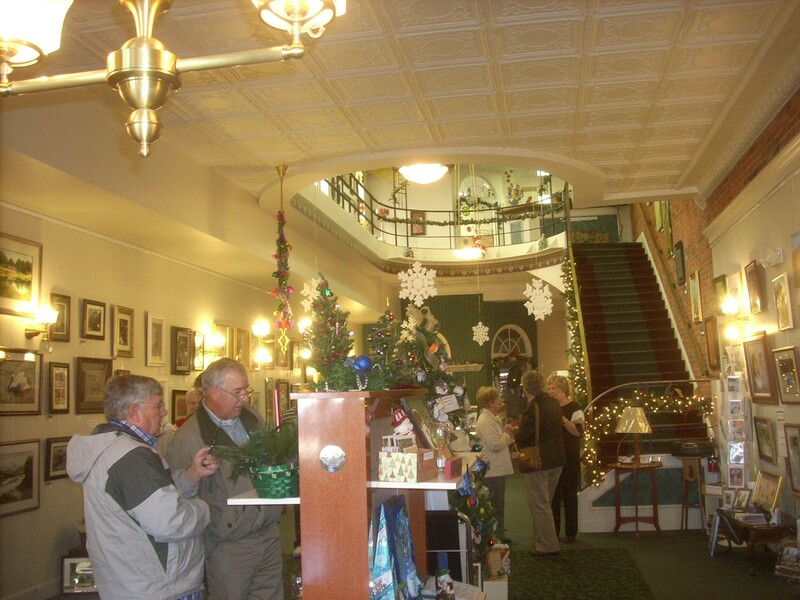 The Christmas trees and wreaths will be on display now through November 13, 2011. The public can view the trees Monday-Thursday 10 a.m. – 8 p.m., Friday & Saturday 10 a.m. – 9 p.m., and Sunday 12-6 p.m. Admission is free. 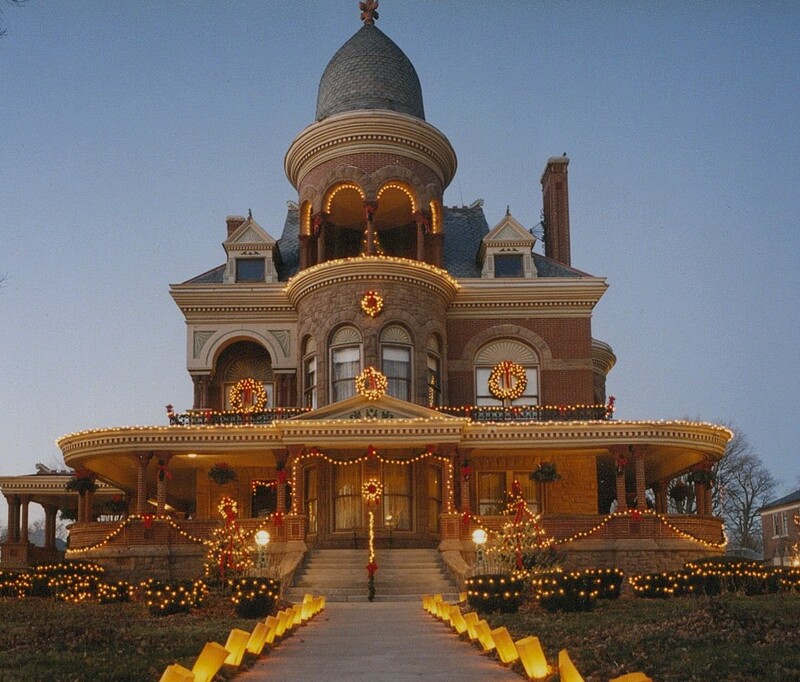 Great for the entire family, this annual event is a favorite among those that live in Kokomo. 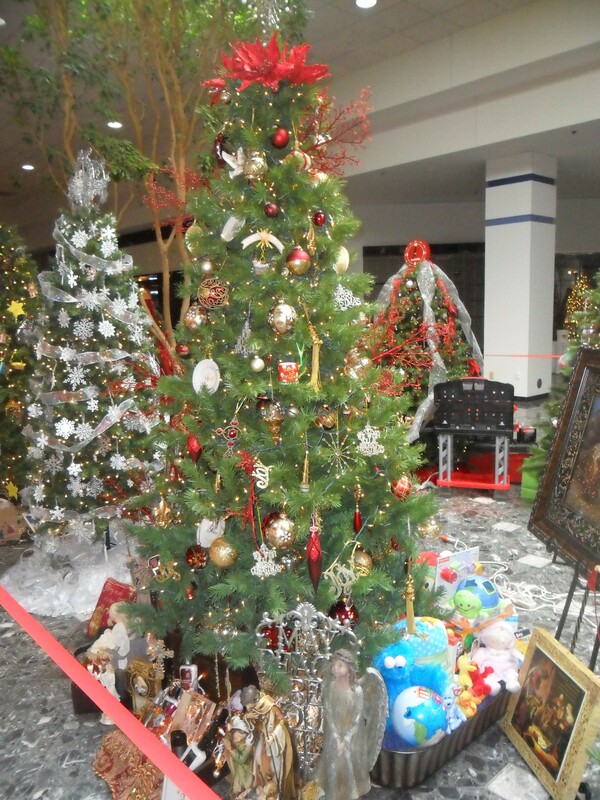 If you plan to visit the Kokomo area, the tree display is a must-see! The auction will be held on November 13, 2011 starting at 4:45 p.m at the Kokomo Mall. Bid on your favorite tree and you may get to take it home for the holidays! Proceeds from the auction will benefit We Care. For more information, about We Care, click here. I always enjoy going to see the trees and the fun decorating themes each year! I have posted a few of my favorites from this year’s display below. 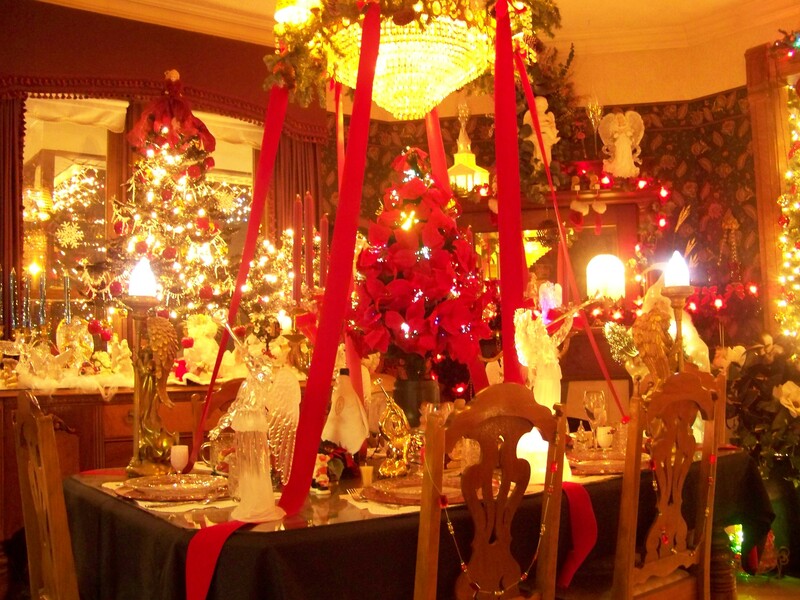 Tis the season … to start making holiday memories! 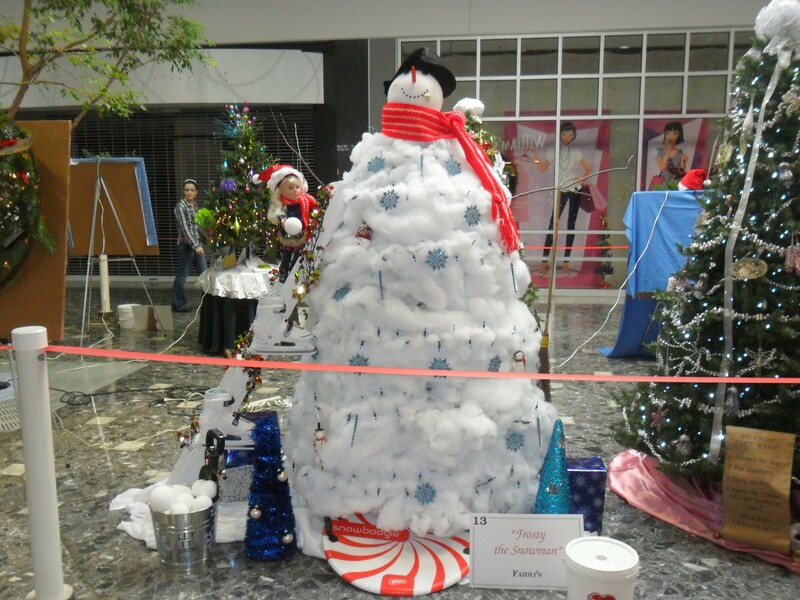 For all those snowmen collectors (like me) this is the ultimate tree! 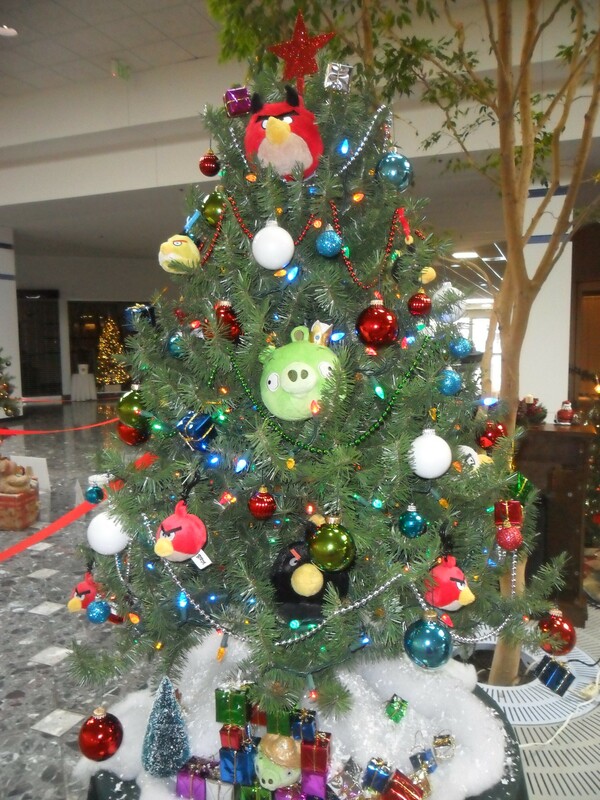 Angry Birds anyone? This tree is sure to be popular with the kids! 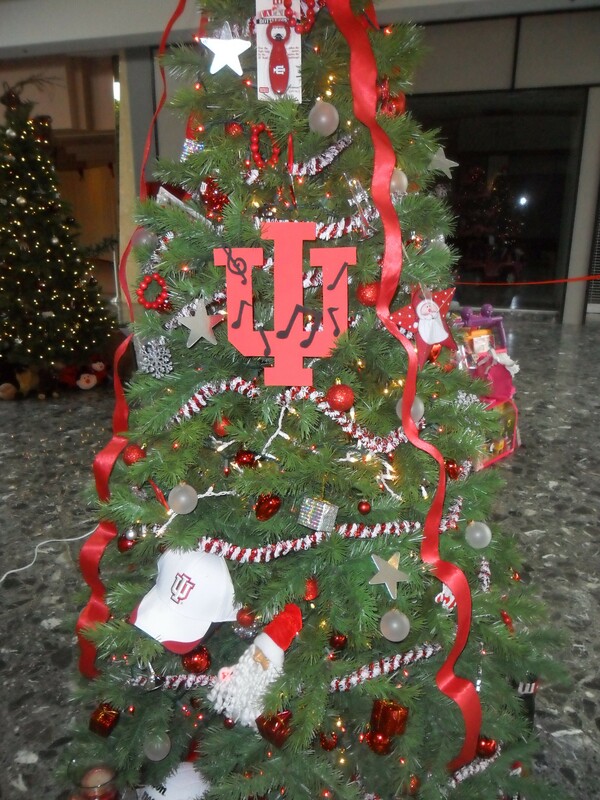 IU fans will be in heaven with this creative tree!